I have heard about Dumplin but yet to watch it or even read the books, excited to see your next haul. Ah what a fab haul! I loved Dumplin', I didn't know it was based on a book! Thank you so much for sharing these list. I will watch Dumplin first and will definitely check out their books too! Some interesting sounding books in this pile. Oooh, these all look soooo good! Lovely haul, I really fancy reading Dumplin. I haven't seen Dumplin on netflix, I'll have to give it a watch and then have a read of the book, I've been looking for some recommendations so this is fab. Thanks for sharing! Nice little book haul! I've recently put the Bygone Badass Boards on my TBR list... I've had Dumblin' on my list for over a year now, but I don't think I'd ever read it though. Thanks for the recommendations. 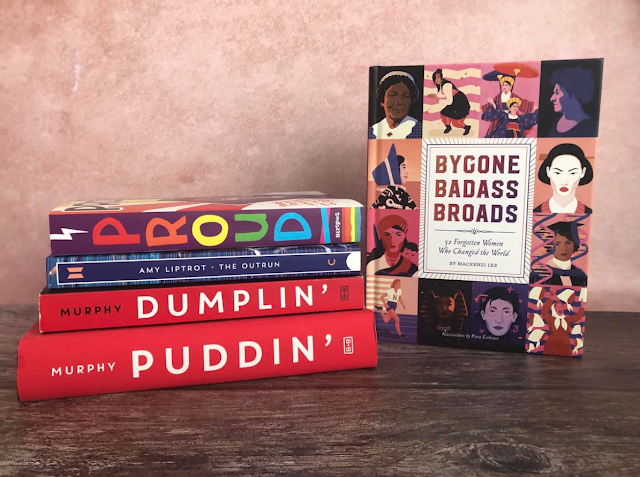 I really want to check out Bygone Badass Broads! Such a great little haul! I haven’t watched Dumplin on Netflix yet so I’ll have to give it a watch so I can then get the book! Love reading these sorts of posts for book buying inspo, Dumplin' is one of the films on my Netflix watch list.